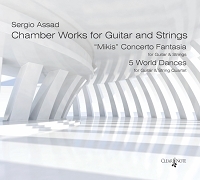 This edition of Recuerdos de la Alhambra for Guitar and Orchestra by Jules Massenet includes an MPO recording with guitar and orchestra together, and orchestra alone, at performance tempos. 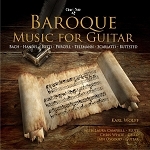 The link to the audio download is provided in the printed edition. 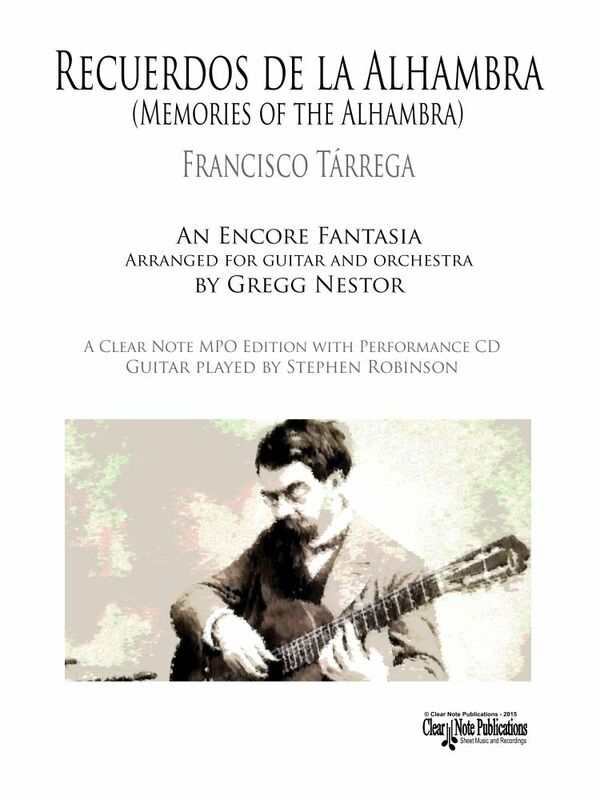 Possibly his most famous work, Recuerdos de la Alhambra (Memories of the Alhambra) was composed in 1896 in Granada by Spanish composer and guitarist Francisco Tárrega. 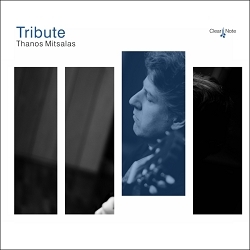 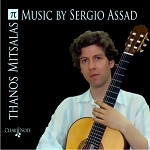 It uses the classical guitar tremolo technique of rapidly repeating melody notes in counterpoint to a slow bass line and accompanying arpeggio in the middle voice to create a three part work for solo guitar that is unparalleled in expressive texture and charm. 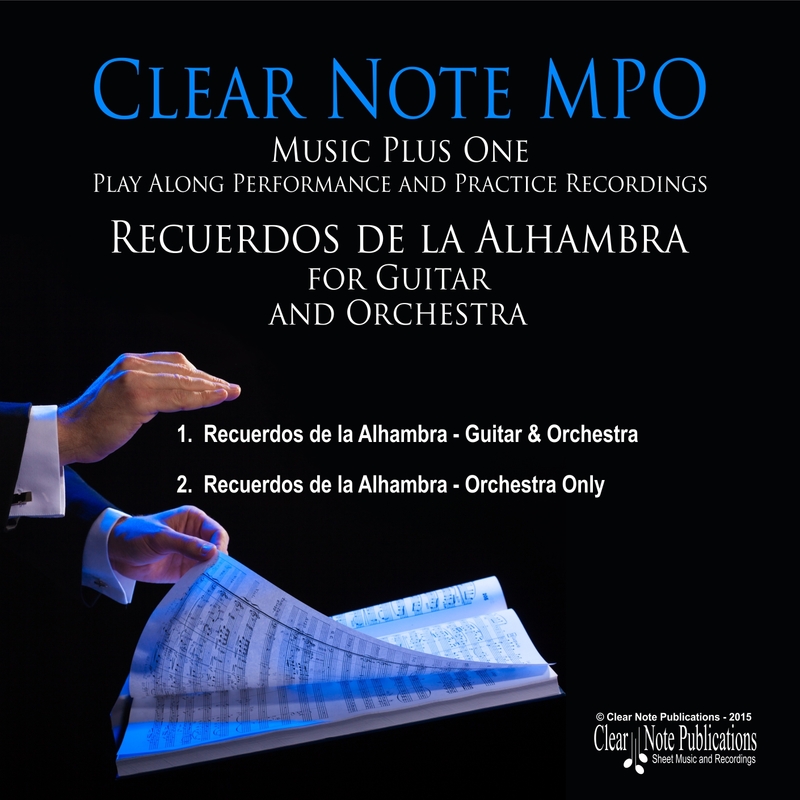 This edition of Recuerdos de la Alhambra includes an MPO recording. 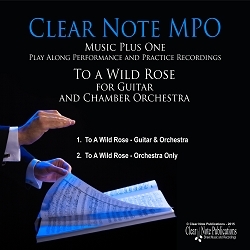 Clear Note MPO recordings bring audio support to professionals, amateurs, and students for educational, rehearsal, practice, personal enjoyment, live concerts, and casual performance settings. 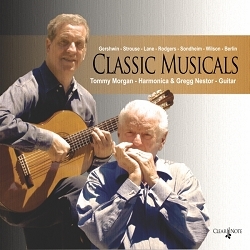 Recuerdos de la Alhambra as a guitar and orchestra fantasia was adapted by Gregg Nestor, with synth/orchestration by award winning film multimedia composer Dominik Hauser. 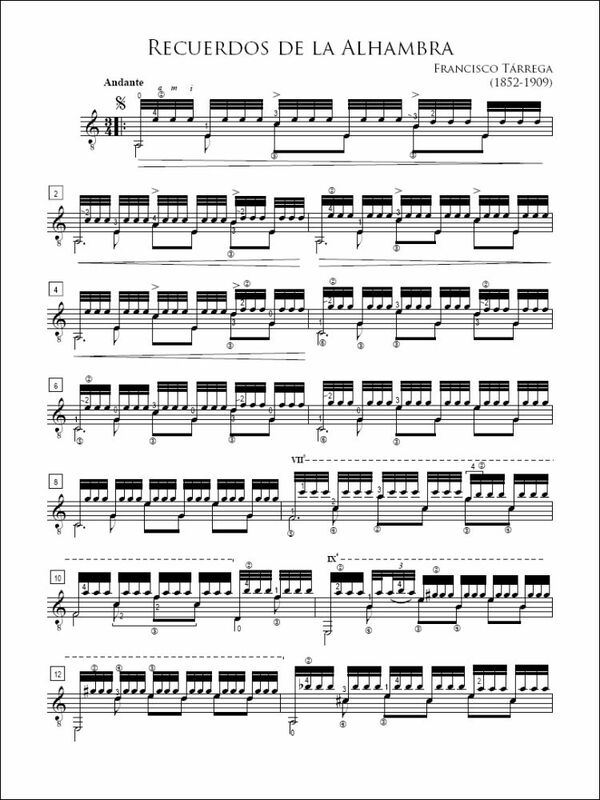 This work is well suited for live performance with orchestra, and the conductor’s score and full set of orchestra parts are available to rent.